I'm very lucky that I get to work from home every damn day but also that I have the opportunity to travel up north and visit my work colleagues at our office in Lincoln. Before I started working at this company, never even visited Lincoln before and I was surprised just how beautiful it was! If you like places that hold a lot of architectural history then you must go and have a visit. It's a bit of an obvious one really isn't it? 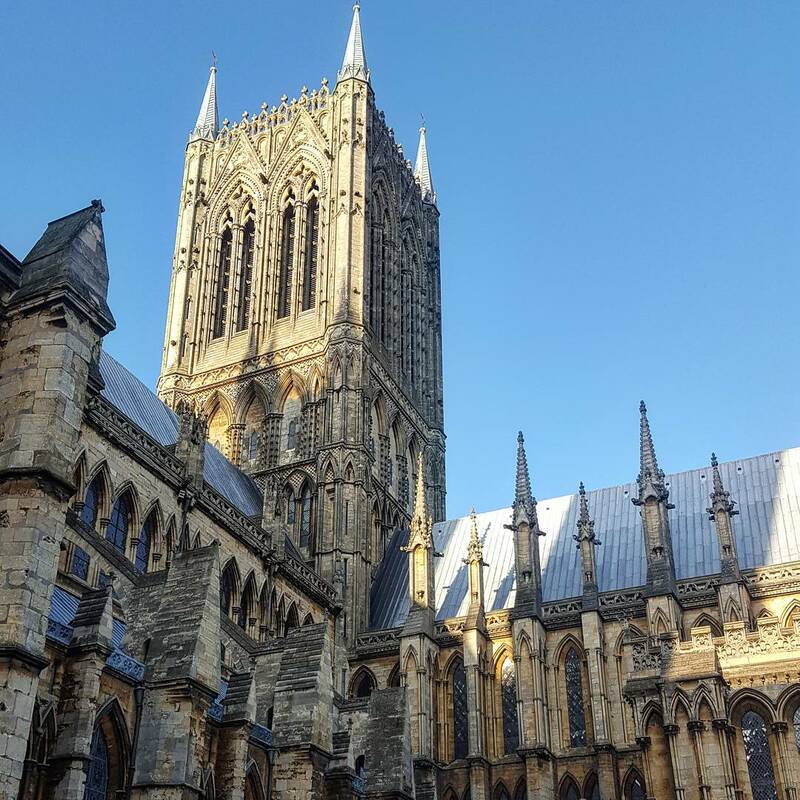 Lincoln is known very well for it's absolutely stunning Cathedral which you can get up close and personal to. 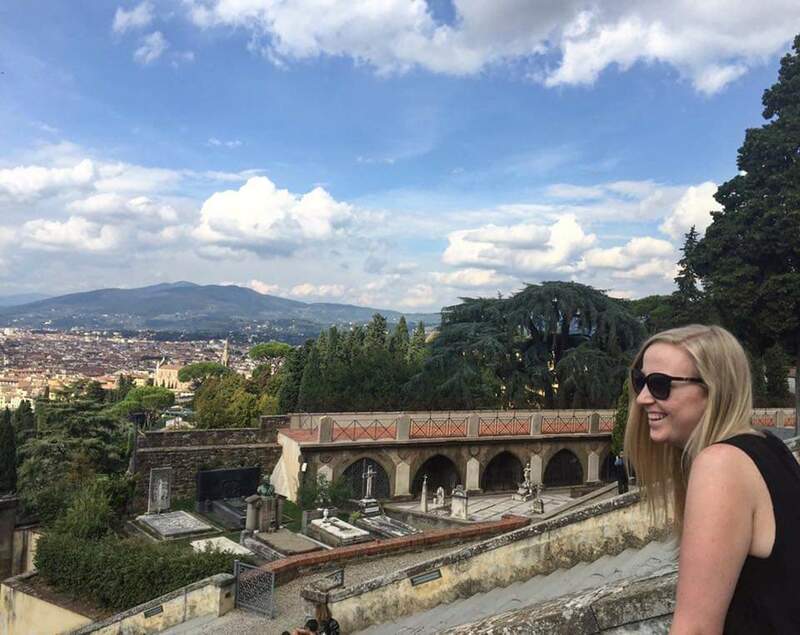 It's very much a tourist hotspot but it is so vast that you don't feel surrounded by people, it's actually hard to take it all in but honestly, it is so beautiful! However, one thing that isn't beautiful is the bloody walk to go and see it, oh yes, you have to walk up a delightfully named hill call Steep Hill...It's a killer! 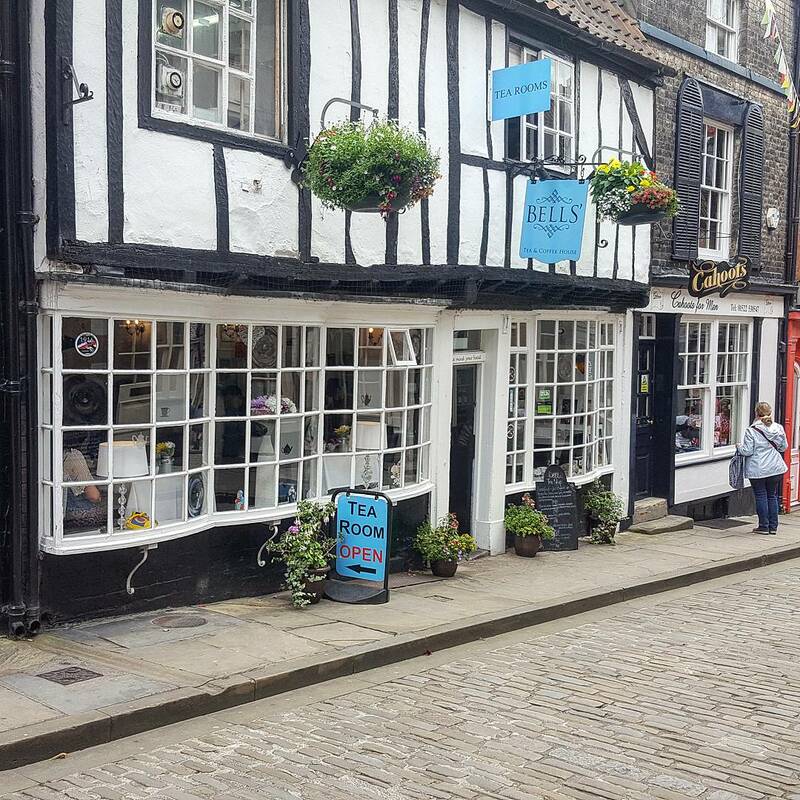 Whilst you are walking up that fabulous Steep Hill what you will discover is a variety of independent shops to keep you occupied should you need a little break. There are some really cute shops filled with little treasures and some are filled with yummy treats! I stopped a fudge shop that just smelled like heaven and purchased some delicious salted caramel fudge. The boyf on the other hand found a really cool draft beer place called The Crafty Beer that had a fantastic range of beers and ales, so something for everyone really. Aside from all the cool independent shops, there are actually loads of little tearooms and it would be rude quite frankly, there are lots of different places to have some afternoon tea but it's a really lovely moment to just sit, have a bit of a relax and a cup of tea and prepare you for the rest of the afternoon. I'm not gonna lie, I love a bit of brunch and The Cardinal's Hat do a bloody good one if meats and cheeses are your kinda thang! 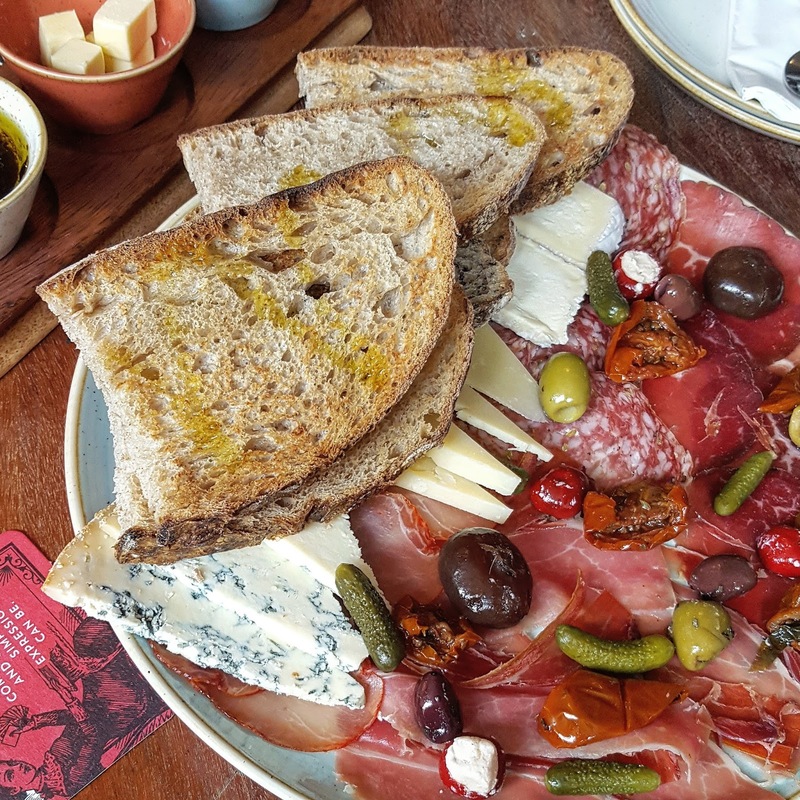 As you can see this was quite a hearty platter, served with 5 different meats, 3 chesses, 4 different types of bread and some olives and nibbly bits, I was in my element! This pub actually do an amazing range of beers and ciders too, plus the atmosphere an decor in this place is really cool! It's the kinda place you can have a quite little drink or meal by yourself in the corner or invite a whole bunch of pals down for a few drinks! The weekend me and the boyf visited Lincoln there was a 90's Music night at the Rouge Saint we both love a bit of live music and we all know the 90's had some utter JAMS in that time so we went a long to see if it would be any good! I was SO impressed with the band, I can't even remember their name but they play some brilliant songs and added their own twist to it! Not only was the music great, they make some brilliant cocktails, I strongly recommend the Singapore Sling if you do venture here. There we have just a few suggestions of things to do in the lovely Lincoln. Have you ever been to Lincoln before?